Capitalism Works Because Capital is a Built in Incentive Why People Call Left-Wingers “Commies” as an Insult Forget Savings Accounts, You Can Get a Better Return With Funds What is a Government Shutdown? Did “Nothing” Just Pop the “Everything Bubble?” How and Why Does the Fed Raise Rates, and What Does it Mean? Sometimes People Get Upset With Us for Not Validating Their Conspiracy Theories The Welfare Traps, Tax Traps, and Debt Traps Deductive, Inductive, and Abductive Reasoning Explained Should We Dismiss a Source Due to Some of Its Content? Should We Dismiss a Source Due to Some of Its Content? I would argue that most sources of information and any information they contain should not be dismissed due our thoughts on them in general or a portion of their content. Instead, I would argue that any source is capable of presenting good and useful information, even if they typically don’t. Even if you generally think a specific source of information provides untrustworthy information, you shouldn’t immediately dismiss all information from that source. If you are a liberal, and don’t think Fox News’s reporting is good, it doesn’t mean that you should dismiss their claim that water is wet. If you start dismissing facts, just because you generally don’t like the source that is conveying a specific fact or set of facts in a specific case, then you will likely start dismissing truths. You will find yourself believing that water is dry, because water can’t possibly be wet if Fox thinks so. 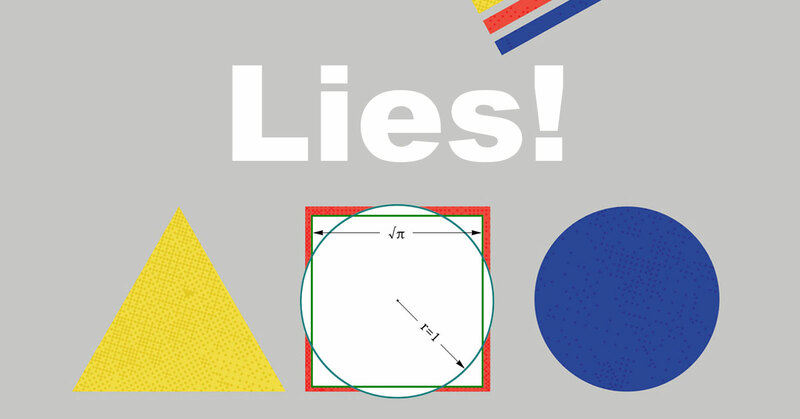 Essentially, our bias against sources creates a sort of logical fallacy where we equate the source in general with the information they have provided in an instance. I see this all the time on social media, someone links to Snopes to support their argument, and the commenters say “but Snopes isn’t good information” and uses that to ignore their entire argument. In doing this they block themselves off from any and all information Snopes (and/or the person presenting the argument) is trying to convey, limit the amount of sources they can use to dig for truth, and at worst start dismissing facts just because they don’t like the source of the facts. In this way our bias can hinder our ability to learn. On a fallible human level I get that if we wish to influence a conservative we should not cite the Huffington post, if we wish to influence a liberal we should not cite Brietbart. That makes sense. However, that is a result of our short comings, emotions, and biases… it doesn’t speak to the reality that both publications are fully capable of reporting truths and making important points. Further, it ignores the reality that different writers write different articles and do different levels of research. Any publication is capable of producing quality information. If we start to dismiss major sources like the major news networks, Wikipedia, and popular fact checking sites, and we limit our sources of information to the few who agree with us, we indoctrinate ourselves into a narrow world view and ironically risk be less informed than we otherwise would be. On social media today many will dismiss information without critical thinking due solely to the source, however fundamental truths and facts have nothing to do with the source presenting them, and thus [logically speaking] many today will short change themselves and be less informed due to their own biases. So, should we dismiss all information from a source due to some of its content? “No”… “clearly” … yet so many do (as we can tell from statements that elude to this or state this on social media; they are found so commonly that I won’t cite specifics here), and that is a slippery slope. TIP: We form a bias toward touching fire, because it burns our hand when we touch it. Still, in some cases fire is very useful (for example when we want to cook food or stay warm). We form a bias against [for example] Alex Jones or Media Matters, because so often we feel they aren’t being straight with us. Our brains are efficient machines and our bias is a tool in this sense. However, our bias can work against us if we make the fallacious assumption that everything Alex Jones says has to be false. That is a slippery slope, because Jones might correctly tell us water is wet or he might help us gain insight into the world of people who think water is dry. Either way, we should use critical thinking and not just bias when approaching information. 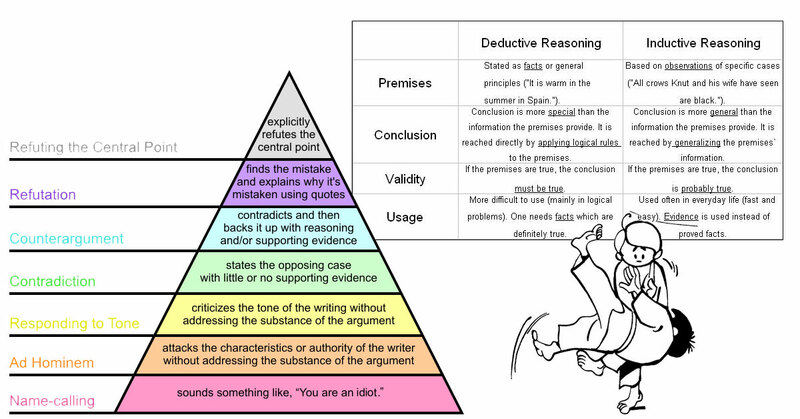 NOTE: See the hierarchy of arguments below? To dismiss the facts due to the source is what I might call “Ad Hominem logic”… [speaking loosely] almost literally the lowest form of argument in its logic form.